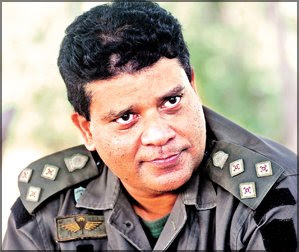 The Army announced yesterday (July 29) that Brigadier Prasanna De Silva, Brigadier Shavendra Silva and Brigadier Chargie Gallage, who played a key role in the recent battle against the LTTE have been promoted to the rank of Major General. 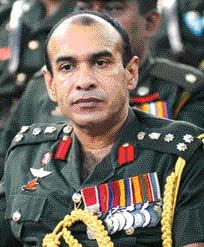 A battle hardened Infantry Officer Major General Prasanna Silva initially commanded the troops in the Mavil Aru battle and to liberate Vakarai in the year 2006 and 2007. He was later appointed as the General Officer Commanding of the 55 Division in Jaffna to command his troops to capture Nagarkovil, Kudarappu, Chempionpattu in the Eastern coast of the Jaffna Peninsula. Later he commanded the 55 Division to capture Chundikulam and Chalai to capture the entire North Eastern coast up to Mullaitivu North. During the final battle in the Mullaitivu North Brigadier Prasanna Silva commanded the troops to capture Vadduvakkal causeway clearing the path for the civilians to escape towards military controlled area. Major General Chargie Gallage, first commanded the commando troops in the Thoppigala liberation operation which was considered the pinnacle of the Eastern liberation operation. He was later appointed as the Task Force I commander and commanded his troops to capture Silavatura in September 2007. Later he was appointed as the Director Training of the Army Headquarters. He was specially sent to 59 Division to overlook the operational matters. It was under his supervision the troops expanded Forward Defences in the entire Mullaitivu front which had helped greatly to lay siege on the last terrain of the LTTE in Mullaitivu North leaving no room for the LTTE to escape into Mullaitivu. Presently he serves as the GOC of the Army's 53 Division. 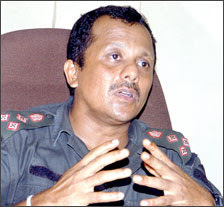 Major General Shavendra Silva was first appointed as the Commander of the Task Force I which was later elevated as the 58 Division, that was the second offensive Division to join the Vanni liberation operation. He commanded his troops from the Mannar towards the Pooneryn to fully liberate the North Western coast from the clutches of the LTTE having captured major Sea Tiger bases Vidathalthivu, Iluppakadaval Nachchikuda, Iranativ, Devil's Point to reach Pooneryn. Then he commanded his troops to advance along the Pooneryn-Paranthan road to capture Paranthan junction with the dawn of the year 2009 and later captured key strongholds of the LTTE Kilinochchi and Elephant Pass and to reach the North Eastern coast having capturing Tharmapuram, Visuamadu and Puthukudiyiruppu. His highest achievement came on April 20, 2009 as he commanded his troops along with the Commando and Special Forces troops to liberate 117,000 people trapped inside the No Fire Zone and to contribute towards the last battle in Karyanmullivaikkal in the Mullaitivu North in which the Tiger leader Velupillai Prabhakaran was killed. Presently he serves as the Director-Operations at Army Headquarters.